Athletes that are happy in their sport participate more often, and for longer. Therefore, understanding the processes that give rise to positive emotions in recreational sport is important. 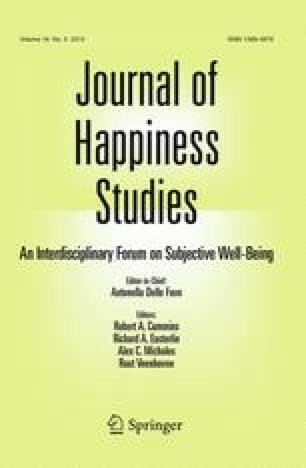 Grounded in the dualistic model of passion, the present study tested a structural model in which harmonious and obsessive passion predict positive emotions in recreational sport through the mediating influence of belongingness. It was hypothesized that harmonious passion would positively predict positive emotions via higher belongingness. By contrast, we expected that obsessive passion would negatively predict positive emotions via lower belongingness. A multi-section questionnaire containing the study variables was administered to 402 adult recreational sports participants. Structural equation modeling revealed that harmonious passion positively predicted belongingness that, in turn, positively predicted positive emotions. Obsessive passion and belongingness shared no relationship and hence belongingness did not mediate the obsessive passion–positive emotion link. These findings suggest that social influences within recreational sport should be particularly cognizant of emphasizing harmonious tendencies. This is because athletes with harmonious passion are more likely to feel socially-connected in sport and, therefore, exhibit higher levels of positive emotions. The World Health Organization. (2010). Global Recommendations on Physical Activity for Health. Retrieved from http://whqlibdoc.who.int/publications/2010/9789241599979_eng.pdf?ua=1. Watson, D., & Clark, L. A. (1999). The PANAS-X: Manual for the positive and negative affect schedule-expanded form. Retrieved from http://ir.uiowa.edu/psychology_pubs/11/.